There’s no death knell for CSRs yet, says Doug Taylor. Forecasters have been sounding the death knell of contact centers for decades. In the 90s, technology enthusiasts predicted that contact centers would be replaced by self-service channels on the internet. Some of today’s diviners echo their predecessors by claiming that artificial intelligence (AI) engines, like chatbots, Siri, and Alexa, will drive human agents out of customer service and contact centers and have them pounding the pavement, looking for new ways to use their skills in an automated landscape. While chatbots have their place in improving customer experience (CX), they can never replace contact center agents. For one, AI in the contact center is only as intelligent as the information programmed into it. Additionally, as more queries are funneled to self-service channels, a relatively equal number of more complex queries come to contact center agents. Finally, a significant part of the population will always prefer to call in and talk to a human, especially when they can’t find the answers they are searching for. 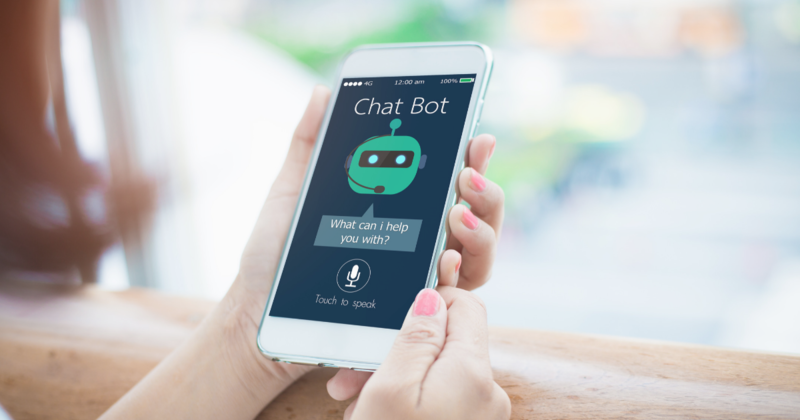 Chatbots and other AI tools have become somewhat ubiquitous in the modern internet landscape. As consumers look to websites for buying, banking, and searching for information, they often encounter a chat window popping up in the corner, offering to help them find what they seek. Sure, chatbots represent machine learning and intelligence. But chatbots themselves are not inherently smart. If a consumer queries a chatbot and the bot has never encountered the question before, it won’t have an answer. A human has to give an answer to update the bot. Machine learning takes over from there, as a bot only has to be given an answer to a query once for it to ‘learn.’ Human beings are fallible and sometimes take several times to learn new information. But the original source of information is human, not artificial. How does this translate into work for contact center agents? Besides updating information in AI systems, contact center agents are the first-line responders when customers come up empty online and call in for help. Agents are perfectly positioned to assess what customers continually call about and what updates to AI need to be made. After all, customers aren’t truly interacting with AI systems, they’re interacting with self-service channels. AI drives improvements to self-service channels. It may seem counterintuitive, but as more customers self-serve, agents actually spend more time on the phone, not less. Customers are increasingly turning to online channels to complete the basic transactions they once did in-person. They use online banks to transfer money and pay bills, online portals to book flights and pay for hotel rooms, and retail websites to pay for all kinds of items. Now when customers hit service stumbling blocks online—booking reward travel, finding a product that has ‘disappeared’ from a website, or querying an unrecognized transaction on a credit card statement, for example–they call into a contact center. Customer service representatives (CSRs) are now being called on to respond to increasingly complex questions and speak to customers who have researched their questions before calling. To do so, they need better skills and training. These calls may be longer and more complex meaning that there can actually be a net gain for the need for contact center agents. While industry professionals hype the robust applications of self-service channels that increasingly employ AI, it’s important to remember that some customers can’t or don’t want to interact with companies digitally. Some people don’t own smartphones. Some people don’t have reliable access to the internet. And some people would rather talk to a human than interact with a chatbot. Companies that want to provide the best CX possible will always keep contact center agents employed. They will want to serve all customers, not just the consumers who are digitally savvy or dislike calling in to solve problems. Customer service industry professionals who have heralded the end of the contact center agent may have a myopic view of the future. Sure, AI has its place in the world of serving customers. But to deliver best-in-class service to all customers, contact centers need to keep human agents on board—and employed. This article was originally published in Training Journal by Doug Taylor, Vice President, Operations at HighPoint. © 2018 HighPoint Global LLC. All rights reserved.